Damian R. Cavaleri represents clients in all capacities, with expertise in business and employment litigation. 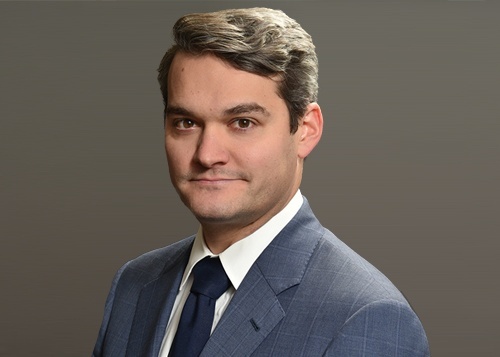 He handles all aspects of litigation and arbitration, including discovery, motion practice, trial and appeal, and has litigated in federal and state courts in New York as well arbitration forums such as AAA and FINRA. Damian also advises both employers and employees on employment agreements, employment separation agreements, internal employment issues, and non-competition restrictions and covenants. Damian received his J.D. with a concentration in Public Law from Cornell Law School, and his B.A. with honors from the University of California, Berkeley, where he was a Regents’ and Chancellor’s scholar. Previously, Damian was an associate at Schulte Roth & Zabel LLP in New York City. ­Won a multimillion-dollar jury verdict as lead trial counsel in representation of a foreign credit card issuer and acquirer against a major credit card scheme in the Southern District of New York. ­Secured the first seizure order under the Defend Trade Secrets Act, representing a financial services company in a dispute with a former employee. ­Successfully prevented a former employee from working for a competitor in emergency arbitration to enforce restrictive covenant on behalf of a financial services company. ­Secured dismissal of several claims before submission to the jury in representation of leading New York-area hospital in employment discrimination and hostile work environment claims in New York State Supreme Court. ­Won pre-discovery dismissal of ADA retaliation claims on behalf of New York-area restaurant. ­Represents global health services company regarding employment discrimination and retaliation claims in federal and state courts in New York. ­Represents public agencies in employment disputes claiming discrimination and Family Medical Leave Act retaliation and interference in federal and state courts in New York. Damian Cavaleri Interviewed In Corporate Counsel on the "Petition to Look at Former CBS Lawyer Underscores Ethical Risks of Social Media"